Concentrating Photovoltaic (CPV) technology attempts to optimize the efficiency of solar energy production systems and models for determining the exact module performance are needed. 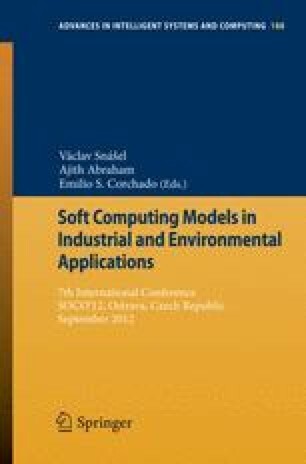 In this paper, a CPV module is studied by means of atmospheric conditions obtained using an automatic test and measuring system. CO2RBFN, a cooperative-competitive algorithm for the design of radial basis neural networks, is adapted and applied to these data obtaining a model with a good level of accuracy on test data, improving the results obtained by other methods considered in the experimental comparison. These initial results are promising and the obtained model could be used to work out the maximum power at the CPV reporting conditions and to analyze the performance of the module under any conditions and at any moment.